The plans you made on are not restricted to the confines of Ganttic or your desktop computer. You can synchronize the plans you made in Google Calendar to Gantt charts and vice versa. Use this feature to manage your team without making them actually sign in to Ganttic. Keep your staff members updated on the go or make all plans in one place through Google Calendar app. If you activate the two-way (Ganttic < > Google Calendar) sync then existing data from Google Calendar will be imported into Ganttic and vice versa. Choosing any of the two one-way options will result in importing existing data from Google Calendar to Ganttic or vice versa. With all sync directions imported existing past data is limited to 1 month. However, this limitation is not applied to future items. 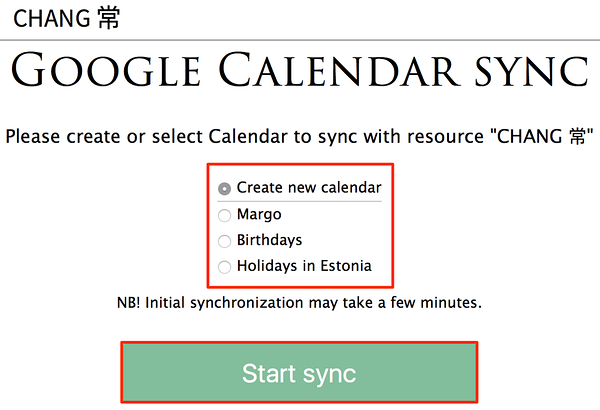 One-way sync is a good idea if you don't want any data coming from Ganttic to Google Calendar. If you are syncing your data with an existing calendar you might want to consider one-way sync since all the exciting events in the calendar will be synced to Ganttic with two-way sync. Two-way sync is the one for you if you actually want to do some planning with Google Calendar and create Gantt charts of plans made in GCal. Any changes you make to the plans will be synced to Ganttic for others to see. This will open a Google Calendar window. This will lead you back to Ganttic. 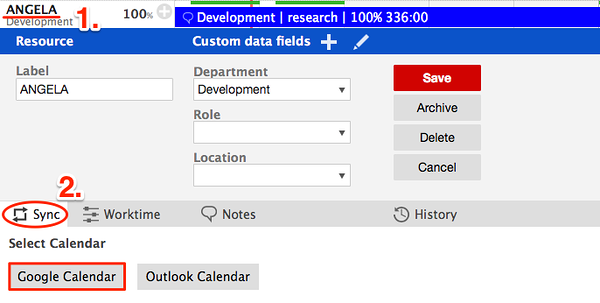 Choose an existing calendar or create a new one, and click on "Start sync"
After which you will be returned to the planner. You can sync more than one resource to your Google Calendar. Click on 'Stop synchronization to Google Calendar"
This opens a confirmation dialog. The events that are already synced won't be deleted. Did not find the answer to your question regarding Google Calendar sync?